Who’s excited for Halloween? 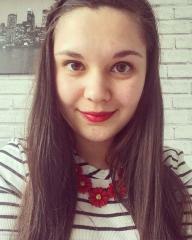 Not this girl! I am one of those people who doesn’t do Halloween. The only time I’ve ever dressed up for Halloween is when I was about 12 or 13 and I dressed up as Wednesday from the Addams Family. The costume require no work whatsoever and I didn’t have o make my face paler or wear a wig. This year, although I won’t be celebrating Halloween, I will be decorating my planner with all things scary. If you missed my post at the beginning of the month, I am part of Frosted Plan-It’s design team for the next few months. 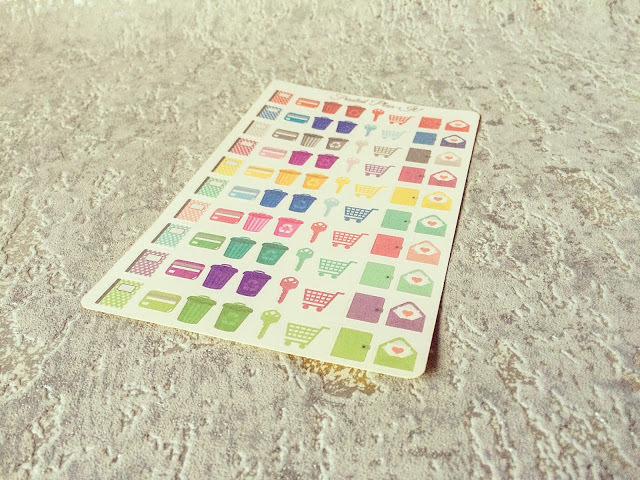 Frosted Plan-It, ran by the lovely Tara, is an Etsy shop which sells all things stickers! This is the second parcel I’ve had as part of the design team and I was thrilled once again! 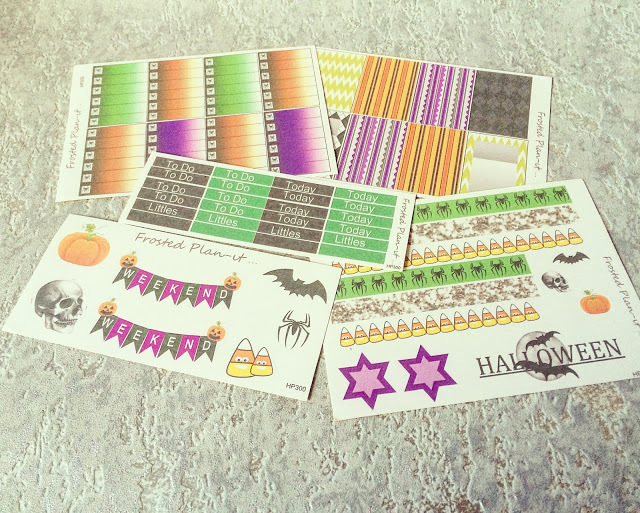 As I said before, I’m not usually a fan of Halloween but this year, I will be using this kit on the week of Halloween. I will be fully embracing the week in my planner! I love to see the colour black in a kit but sometimes it overwhelms the page and just doesn’t come across well in a planner! I do love a splash of black though and Halloween is a fab way to get more black in my life! I’m loving these weekend stickers so much! 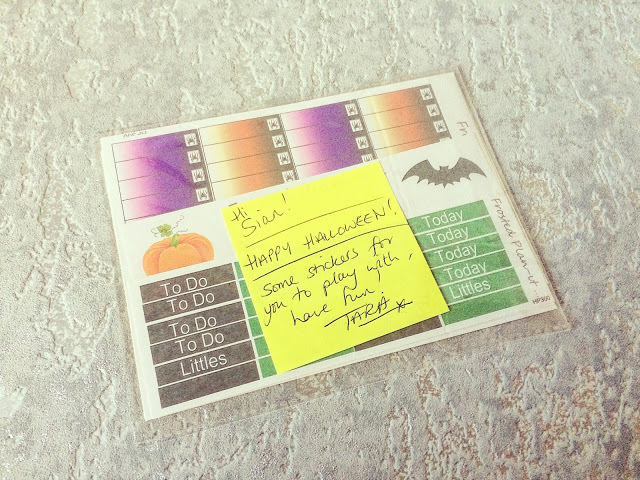 Decorative stickers are not usually stickers that I use but I can make an exception for Halloween! 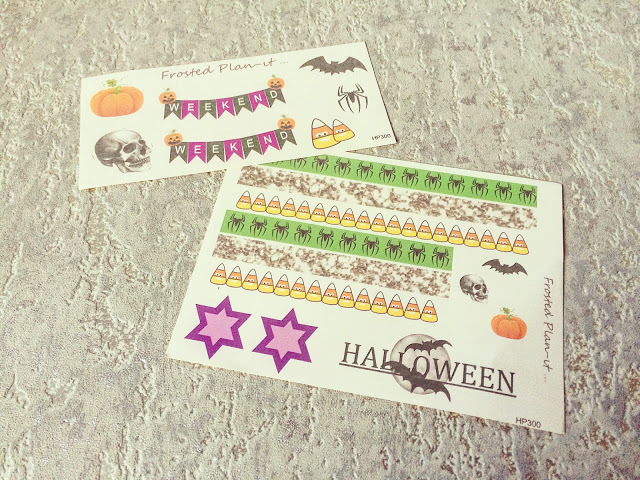 I was also happy to receive some non-Halloween stickers and household daily chores seem to be easier when you have a sticker for them in your planner! My favourite thing about this sheet is the array of colours and the pigmentation! And it’s great because there’ll be a colour to match every kit for every week! 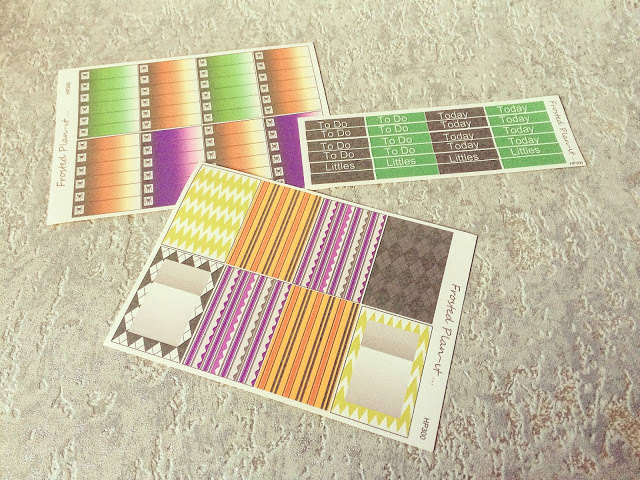 *I was sent these stickers as a freebie but all views are my own! 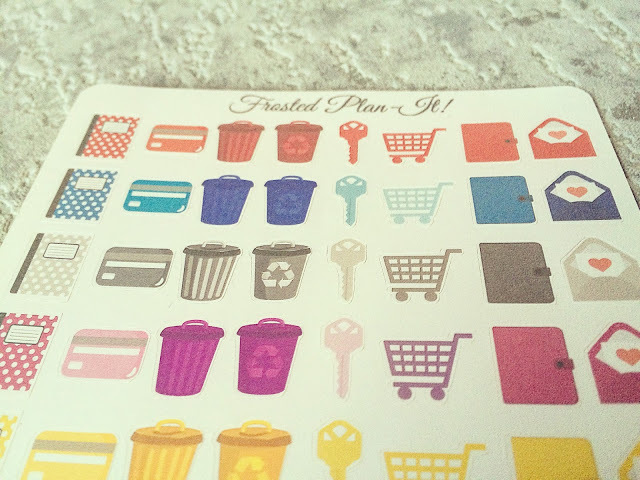 You can still get 10% off on Frosted Plan-It with the code SIAN10.